AC Milan were playing against a fourth division Italian team today since it's their winter break and they need to stay fit, but it didn't last very long after large sections of their support chanted racist stuff. 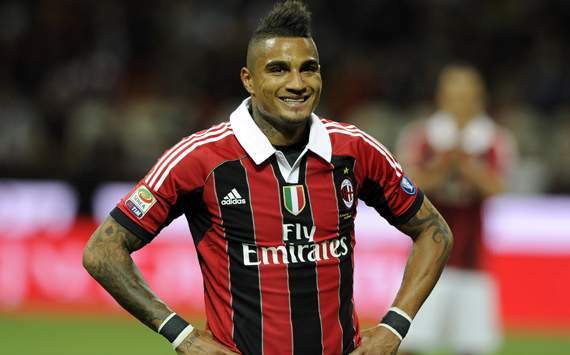 Kevin Prince Boateng was the player most subjected to the racist singing that Aurora Pro Patria supporters deemed appropriate, and thankfully the entire AC team just walked off the pitch at one stage to get back in their time machine to the present day. There are people at my work who are too scared to say 'that black guy from x' incase someone dare thinks they're racist and sure enough there are philosophical arguments which argue that referring to people as opposites (white and black) creates an ethnic negative and positive stigma which is unfair and discriminatory, so how on earth are there still people in 2013 who don't understand that black people aren't going to rob and murder them the minute they get the chance? Really?! This is still a thing?!! It's not going to happen, chill out white boy. I mean at least 50% of them probably won't.